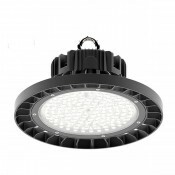 Featured industrial LED lighting for warehouse, factory & manufacturing premisies include LED High/Low Bay Lights, High Powered LED Industrial Floods and Complete IP65 Non-Corrosive LED Fittings. 100W / 13000lm - Direct Replacement for 250W SON / 150W MHL Metal Halide Now with 5-year Warranty! 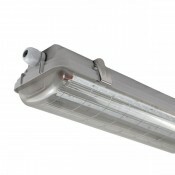 A..
150W / 20000lm - Direct Replacement for 400W SON / 250W MHL Metal Halide Now with 5-year Warranty! A..
200W / 26000lm - Direct Replacement for 400W SON / 400W MHL Metal Halide Now with 5-year Warranty! A..
60W IP65 HEAVY DUTY LED Flood Light [INDUSTRIAL HEAVY DUTY GRADE] Utilising our advanced design alum..
90W IP65 HEAVY DUTY LED Flood Light [INDUSTRIAL HEAVY DUTY GRADE] Utilising our advanced design alum.. 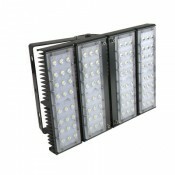 LED Sports Flood Light / Horse Arena Lighting 120W/15,600lm utilises an advanced designed multi-fin .. LED Sports Flood Light / Horse Arena Lighting 180W/23,400lm utilises an advanced designed multi-fin .. LED Sports Flood Light / Horse Arena Lighting 240W/31,200lm utilises an advanced designed multi-fin .. LED Sports Flood Light / Horse Arena Lighting 300W/39,000lm utilises an advanced designed multi-fin ..
60W Dimmable LED Flood Light (1-10V) Utilising our advanced design aluminum multi-fin heat sink syst..
90W Dimmable LED Flood Light (1-10V) Utilising our advanced design aluminum multi-fin heat sink sys..
120WDimmable LED Flood Light (1-10V) Utilising our advanced design aluminum multi-fin heat sink sys.. 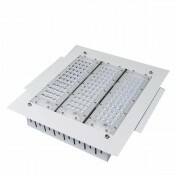 LED High Mast Light 600W / 66,000lm IP65, IK09 [Symmetric / Asymmetric]. Ideal Replacement for 1500W.. LED High Mast Light 900W / 99,000lm IP65, IK09 [Symmetric / Asymmetric]. Ideal Replacement for 1500W..